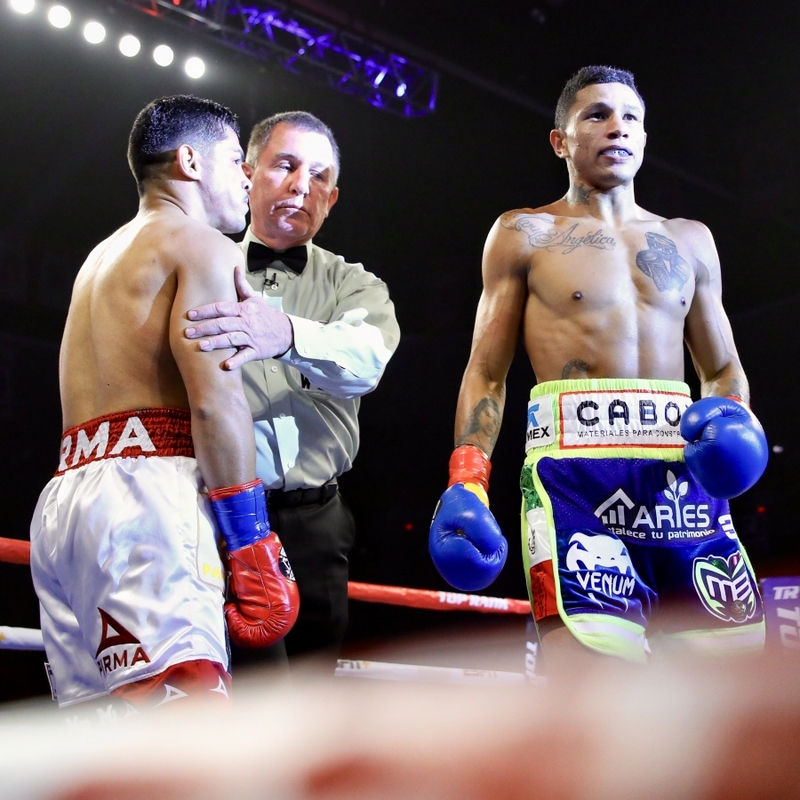 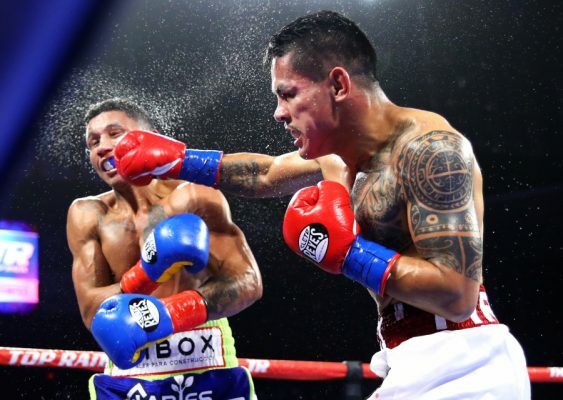 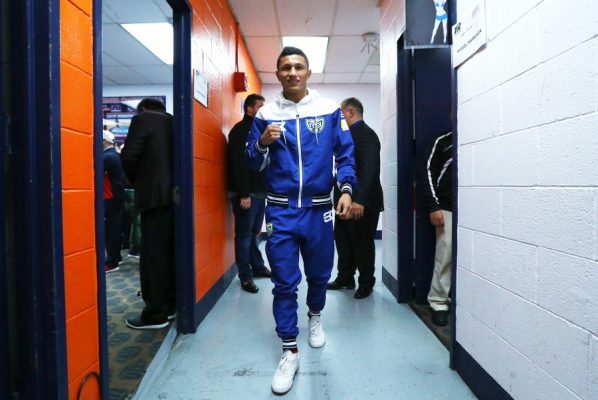 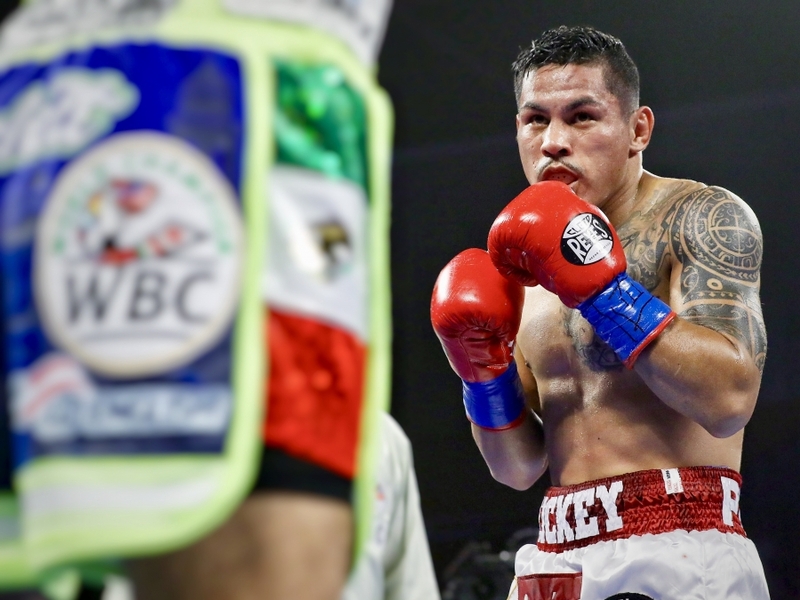 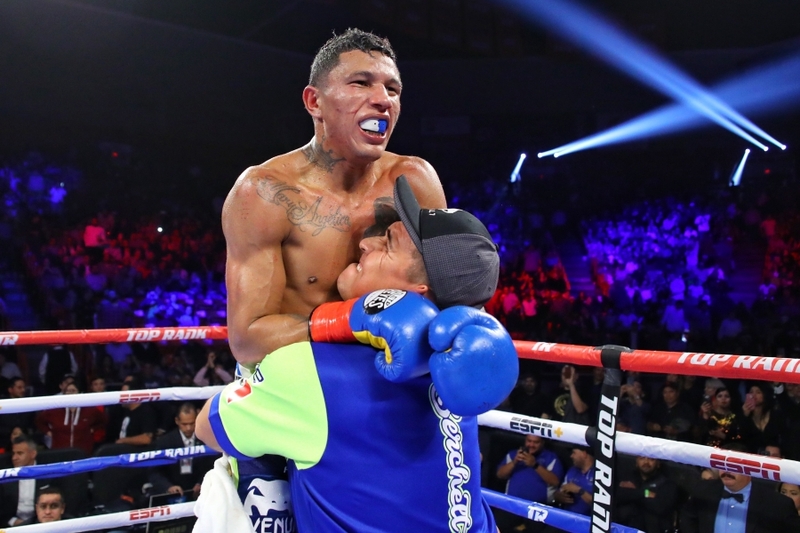 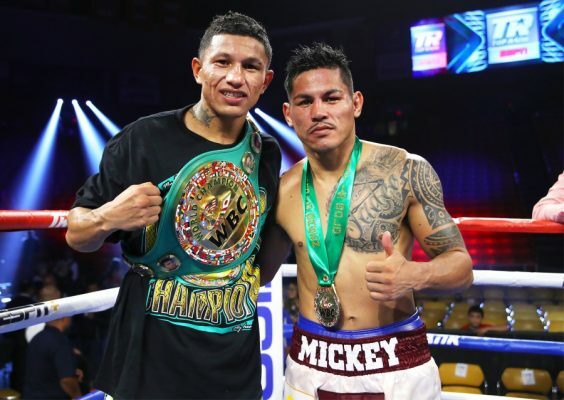 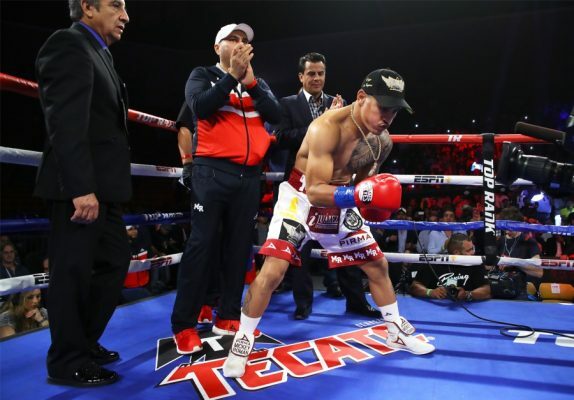 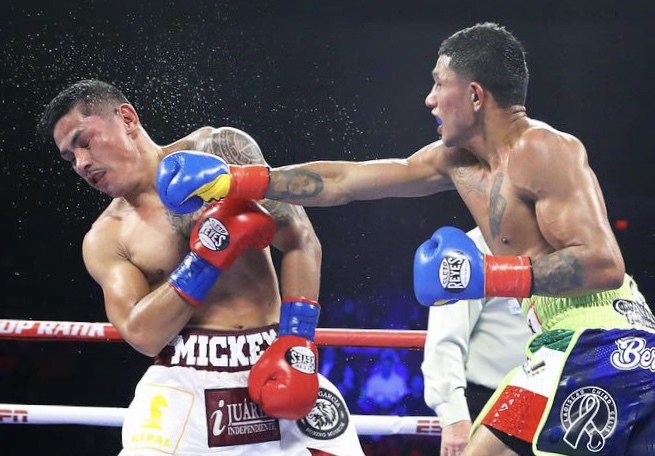 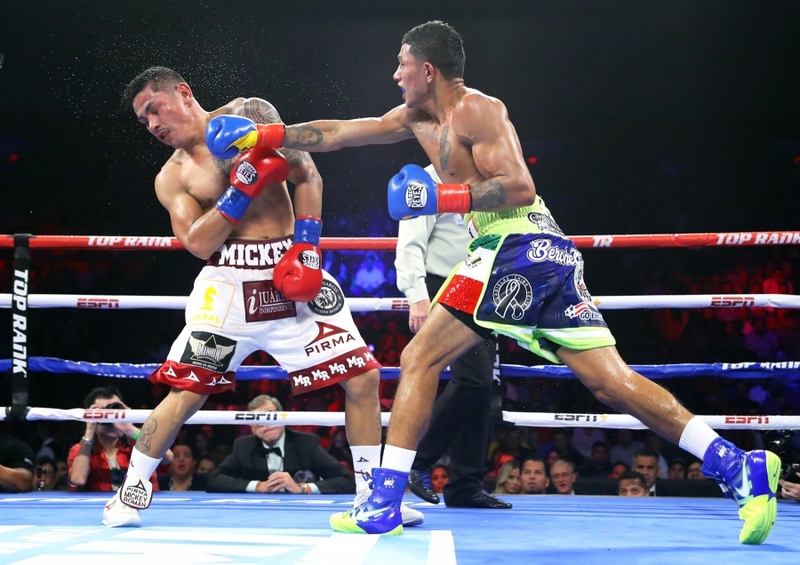 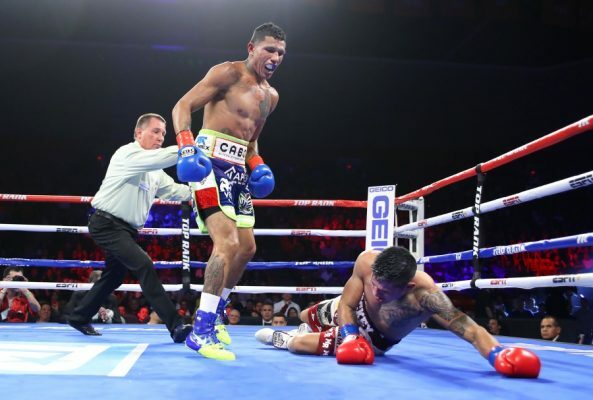 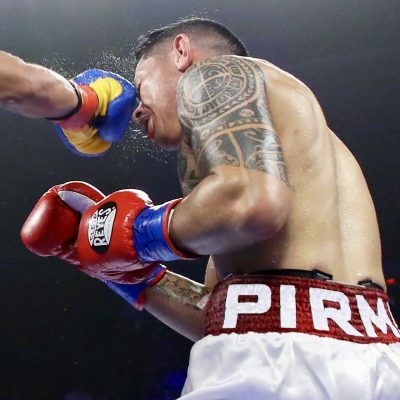 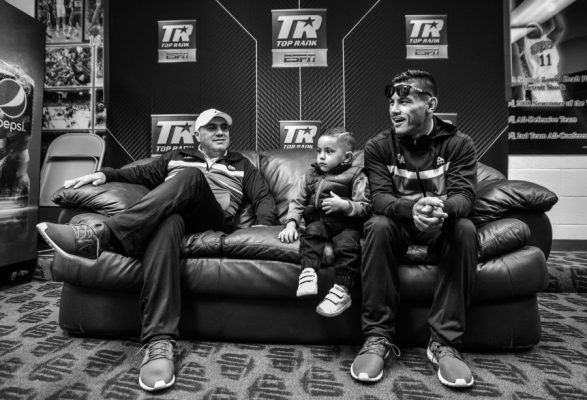 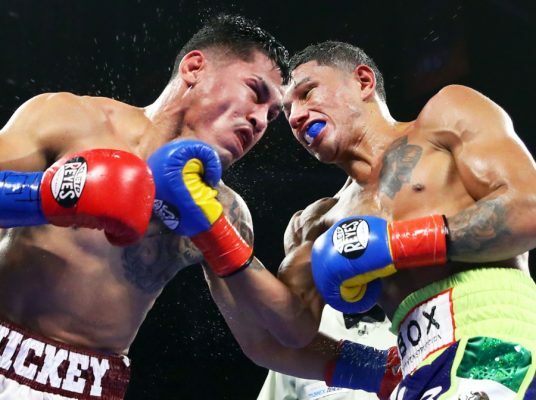 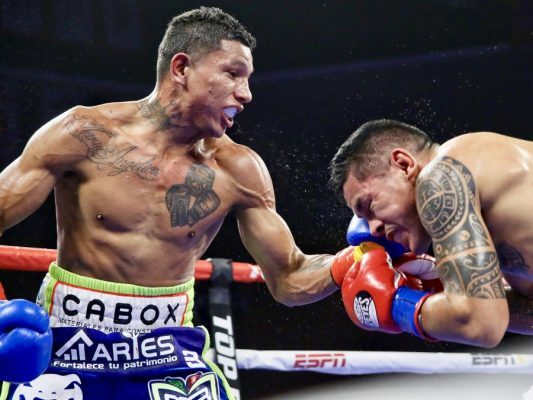 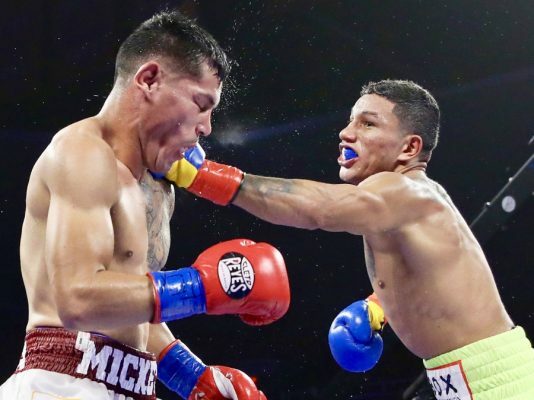 EL PASO, Texas (Nov. 3, 2018) — Miguel Berchelt and Miguel “Mickey” Roman promised to deliver a Fight of the Year contender. The all-Mexican showdown delivered. 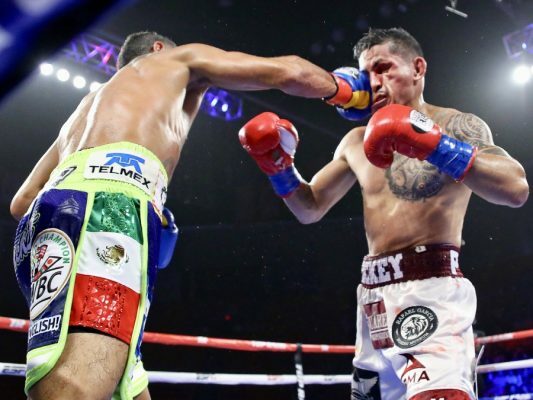 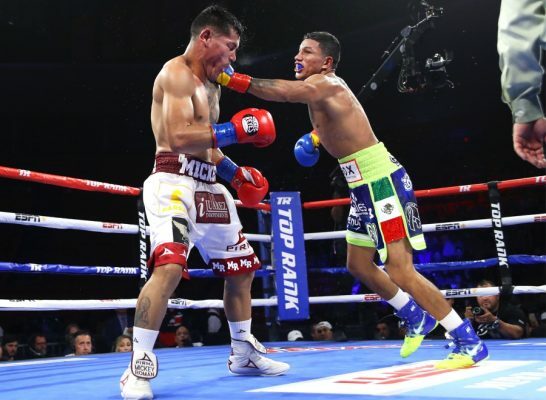 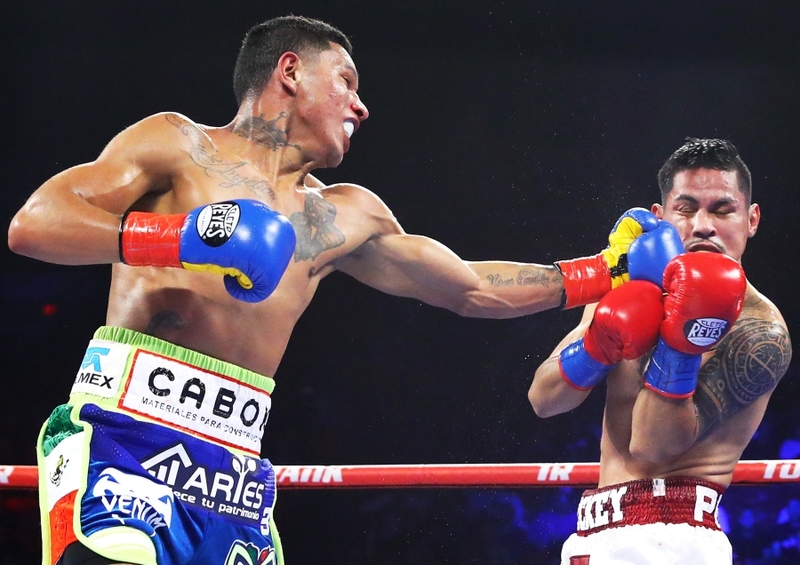 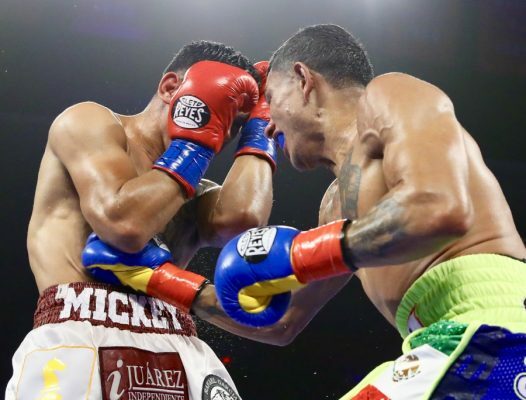 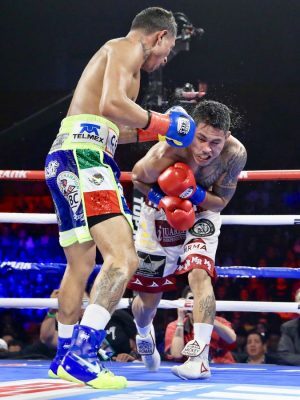 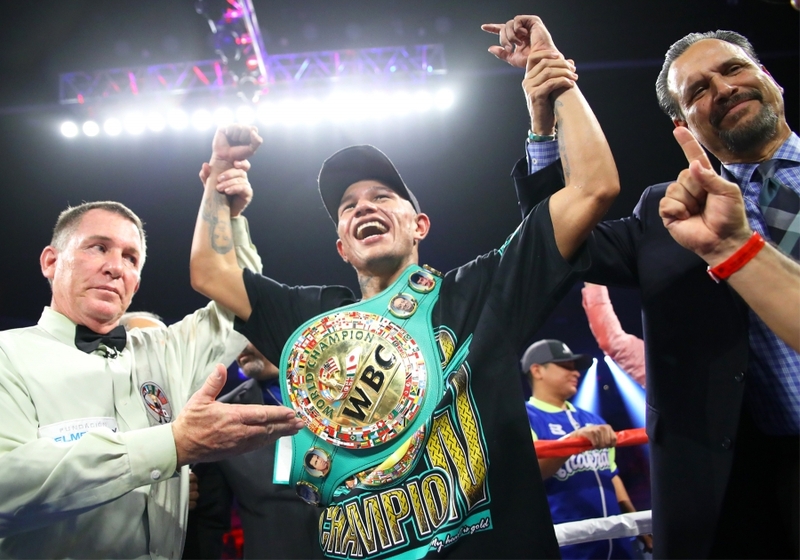 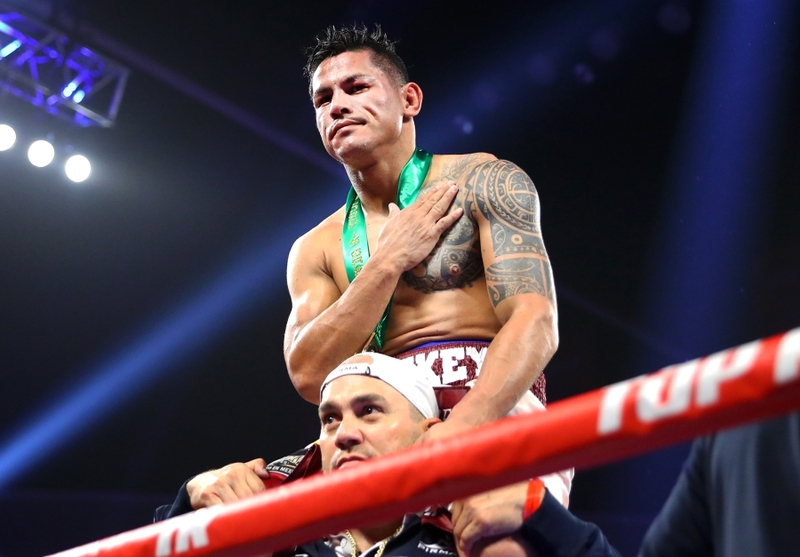 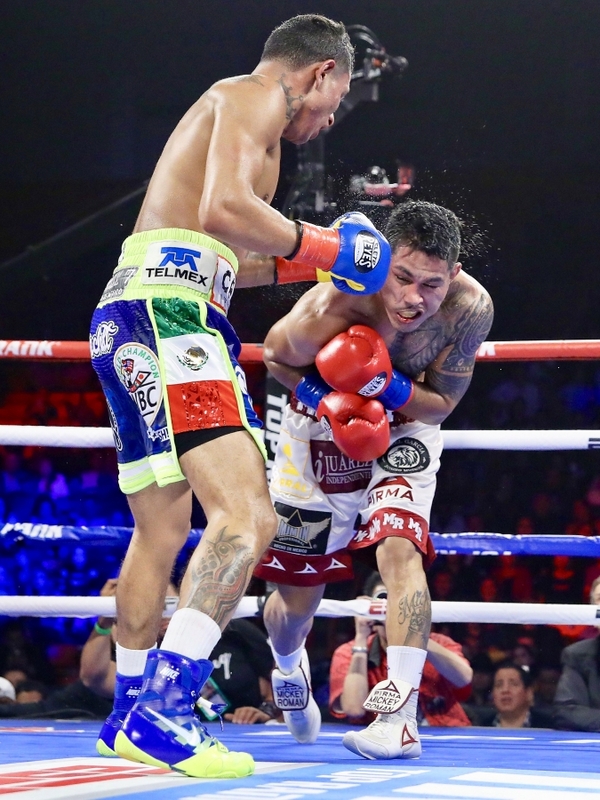 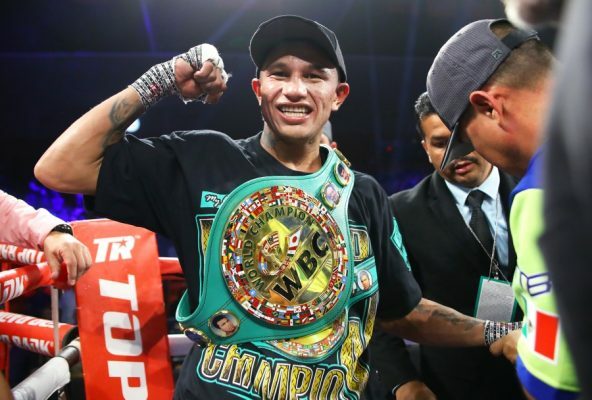 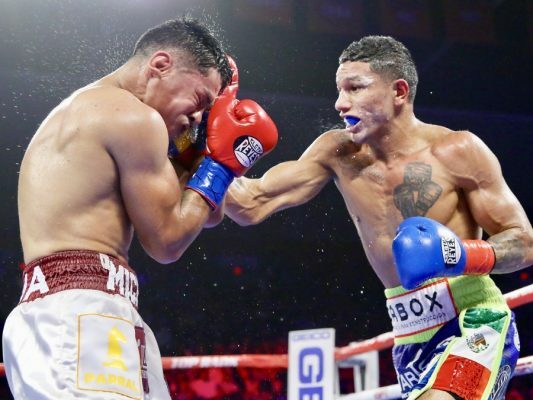 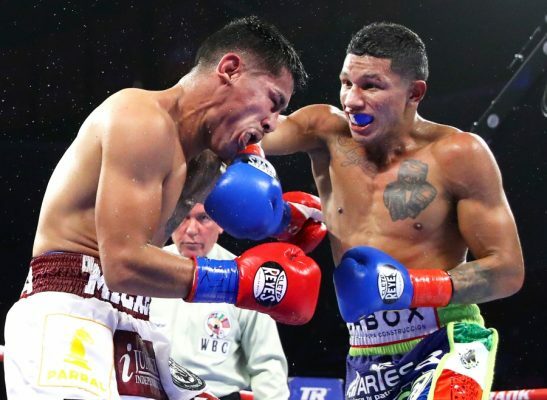 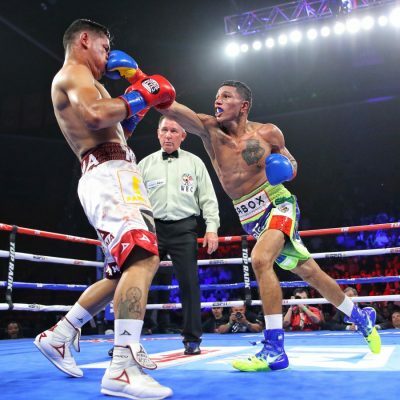 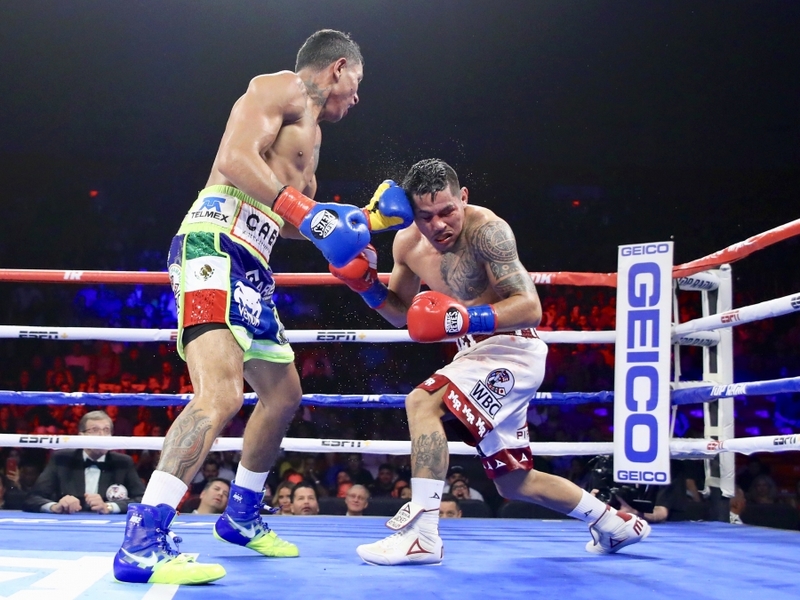 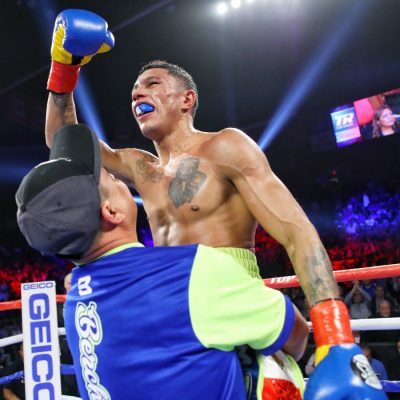 Berchelt defended his WBC super featherweight title for the fourth time, scoring a ninth-round TKO against Roman in front of 5,420 fans at the Don Haskins Center on Saturday evening. 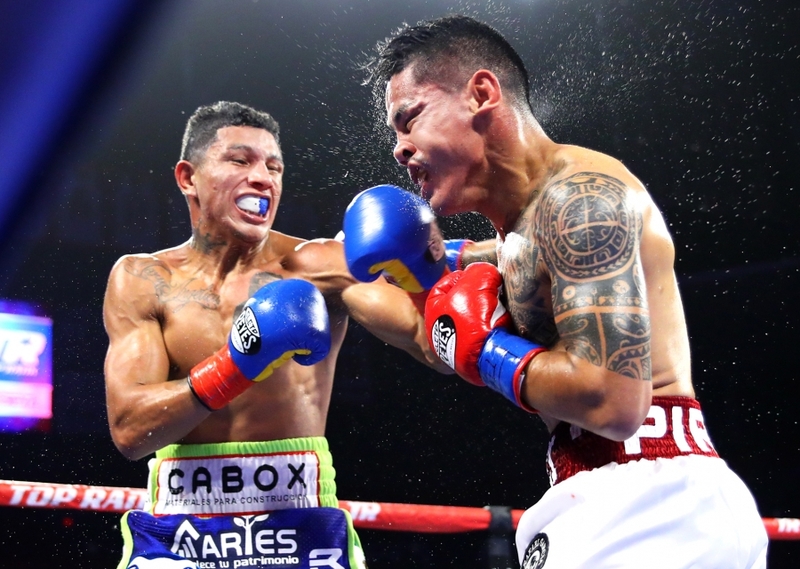 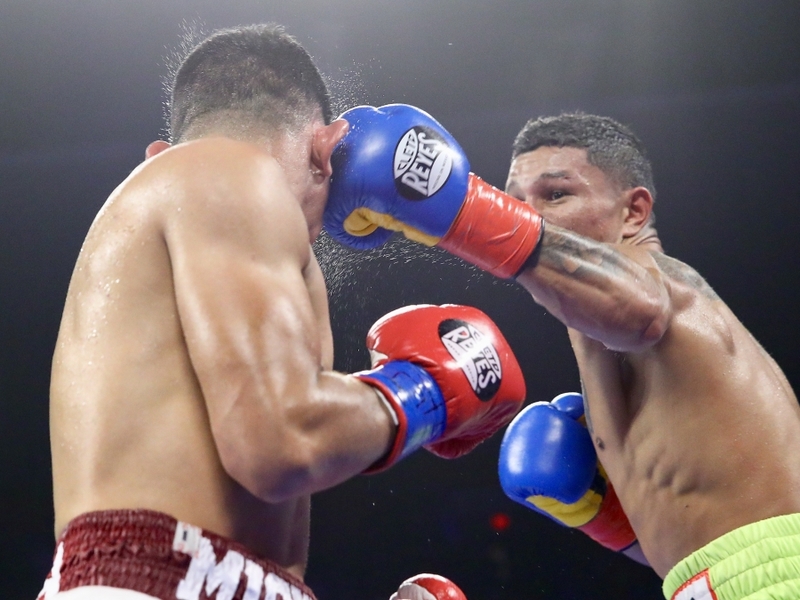 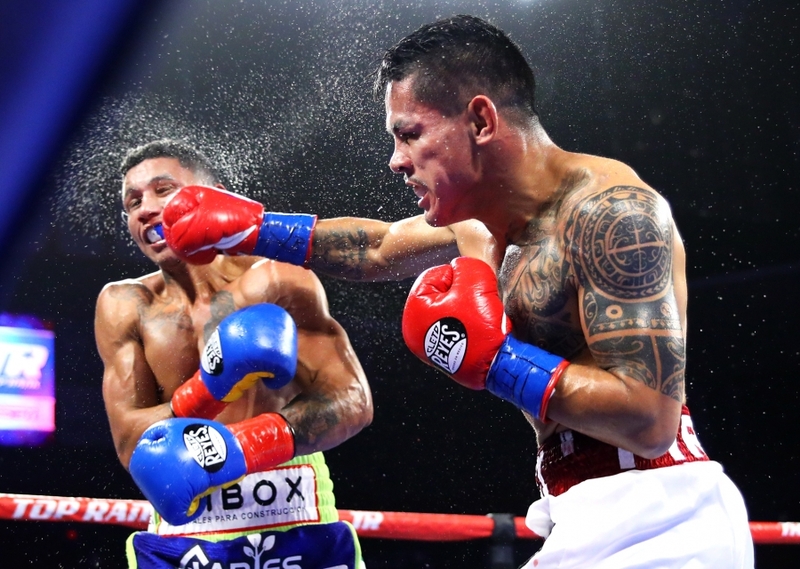 It was a phone booth battle for the first five rounds, and in the sixth, Berchelt knocked down Roman twice. 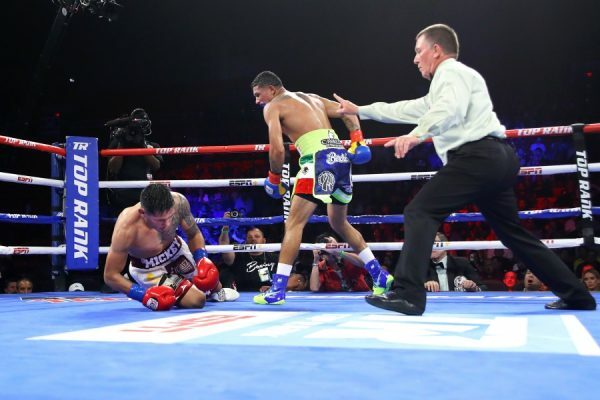 The first knockdown was a crisp right hand that nearly had Roman out for the count. 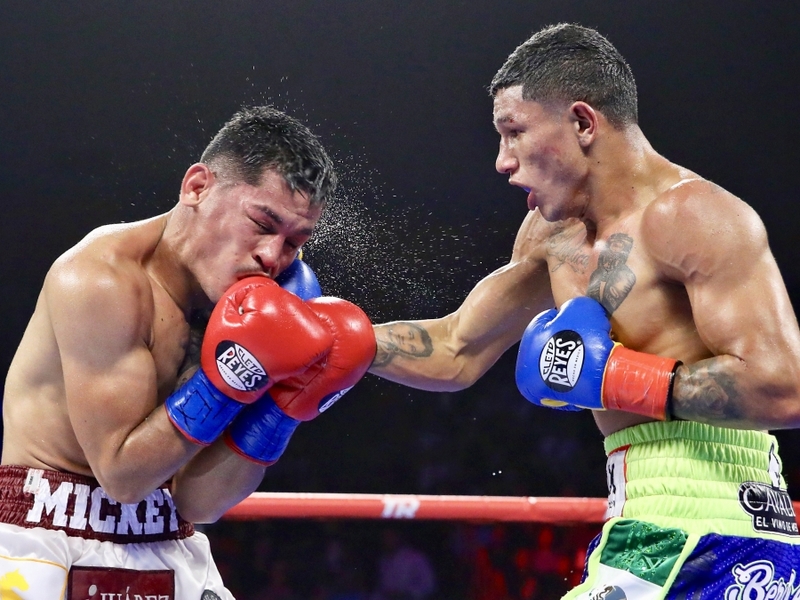 But he got up, and Berchelt applied more pressure, knocking down Roman again as the round ended. 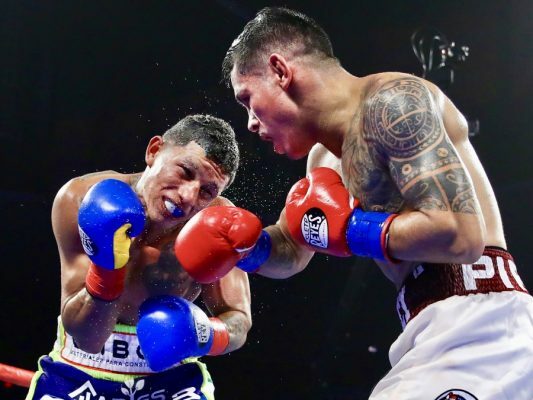 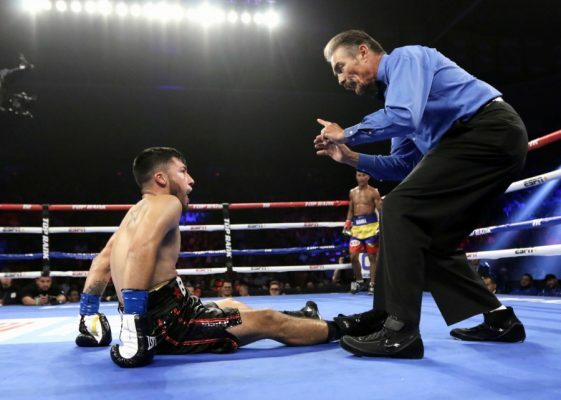 Roman (60-13, 47 KOs) somehow survived, but Berchelt continued to pour it on until referee Jon Schorle called it off with two seconds remaining in the ninth round. Miguel Marriaga has had three cracks at world title. 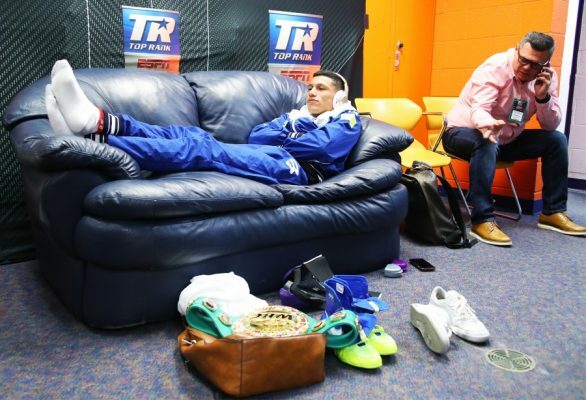 He is well on his way to a fourth. 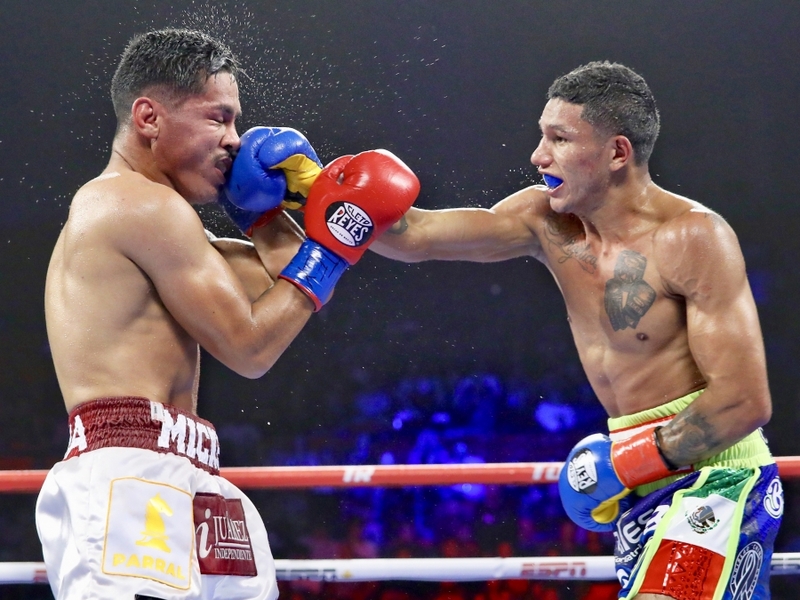 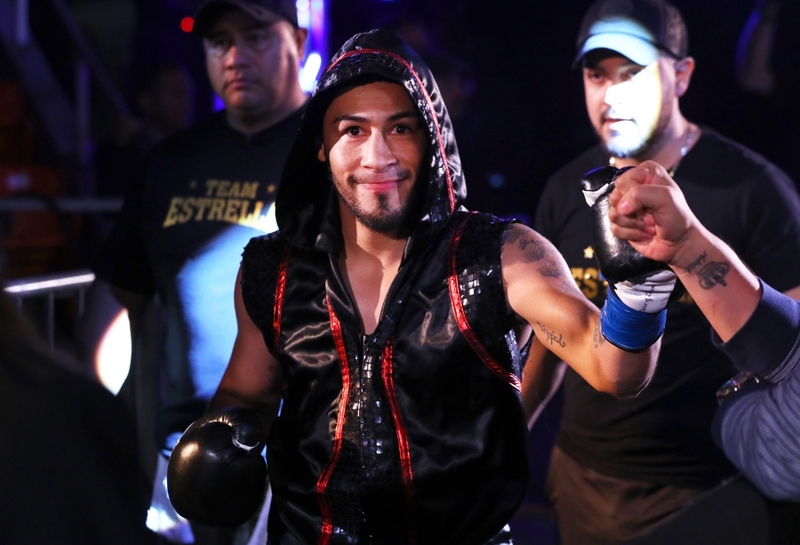 Marriaga (27-3, 23 KOs) knocked out Jose Estrella (20-15-1, 14 KOs) with a left hook to the body in the fourth round to stake his claim as a top featherweight contender. 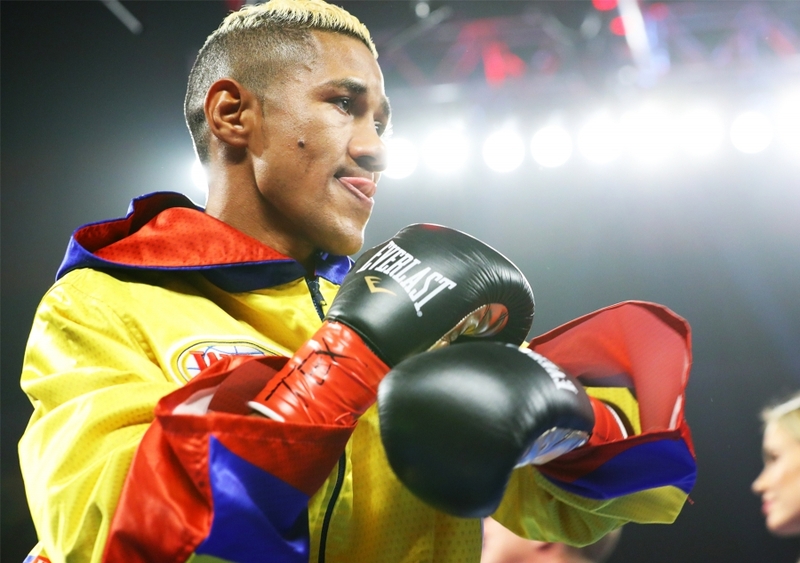 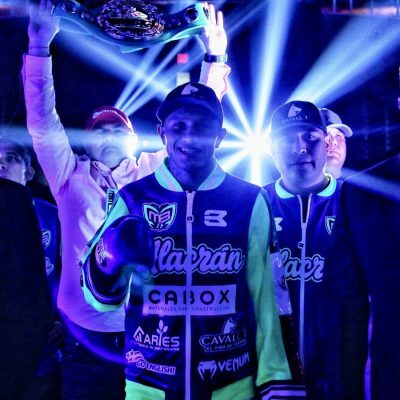 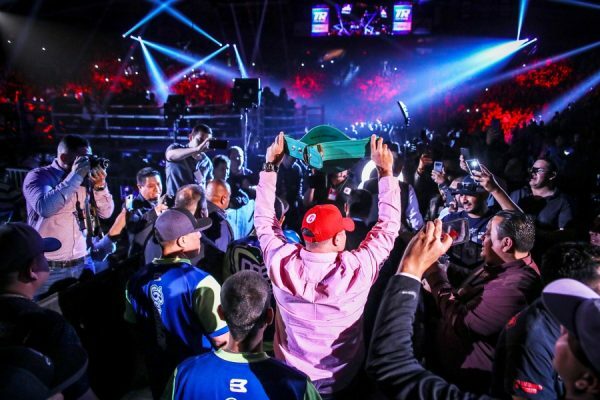 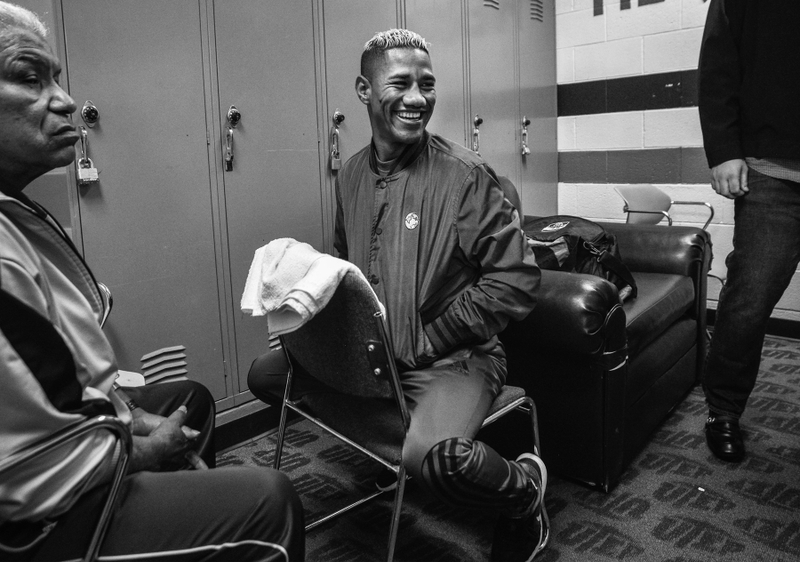 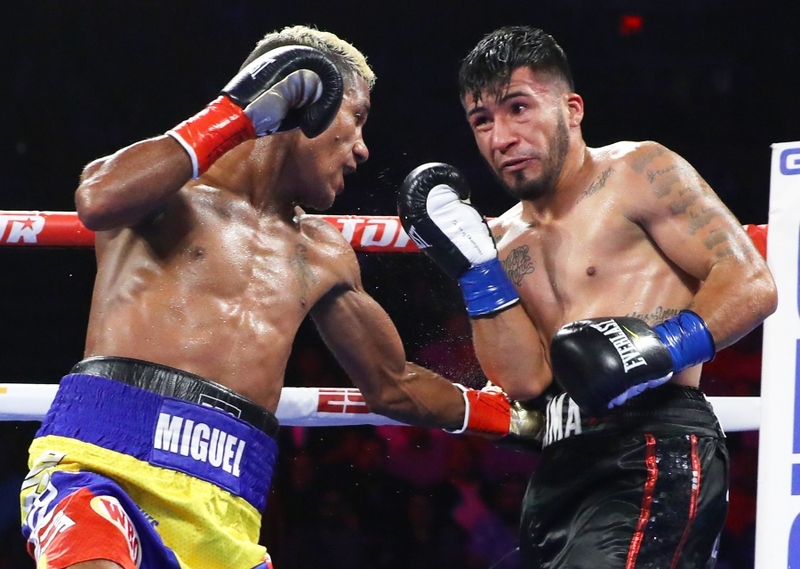 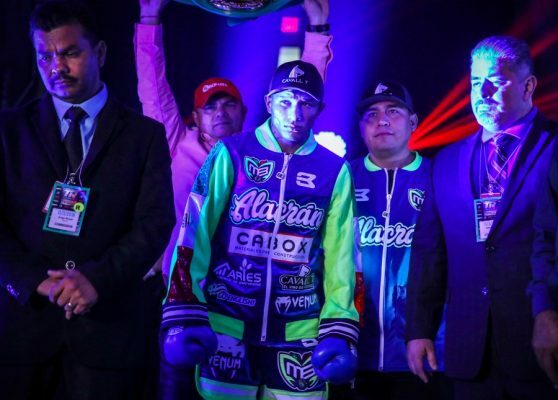 Marriaga, a Colombian power puncher, has won two straight fights since defeats in world title bouts against Vasiliy Lomachenko and Oscar Valdez. 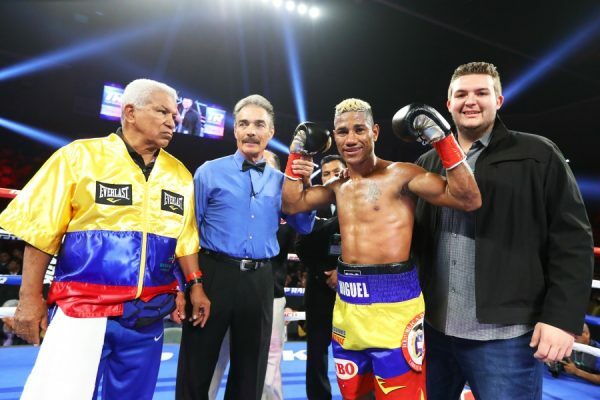 “He was a very tough and strong opponent,” Marriaga said. “I know he trained hard for this fight, but I trained harder. 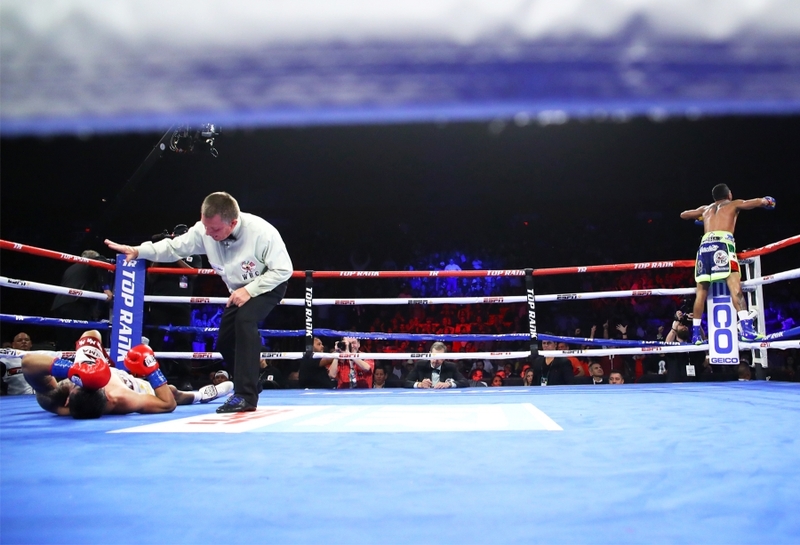 In the end, my experience was key in getting the victory. The plan was to attack the body and that’s exactly what I did. I knocked him out with a huge left hook to the body. 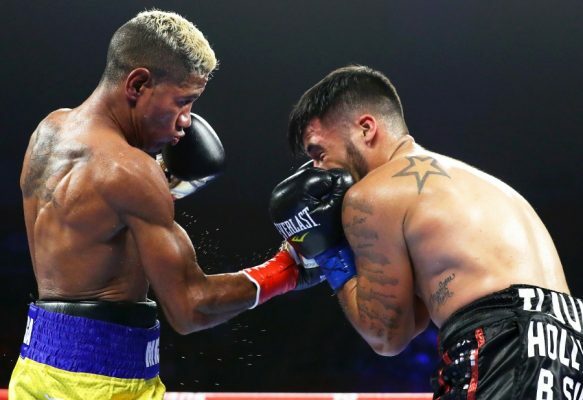 Super Featherweight: Robson Conceicao (10-0, 5 KOs), unanimous decision, 8 rounds, Joey Laviolette (9-2, 5 KOs). Scores: 80-72 3X. Lightweight: Saul Rodriguez (22-0-1, 16 KOs), TKO 2, 1:57, Claudio Tapia (28-19-4, 13 KOs). 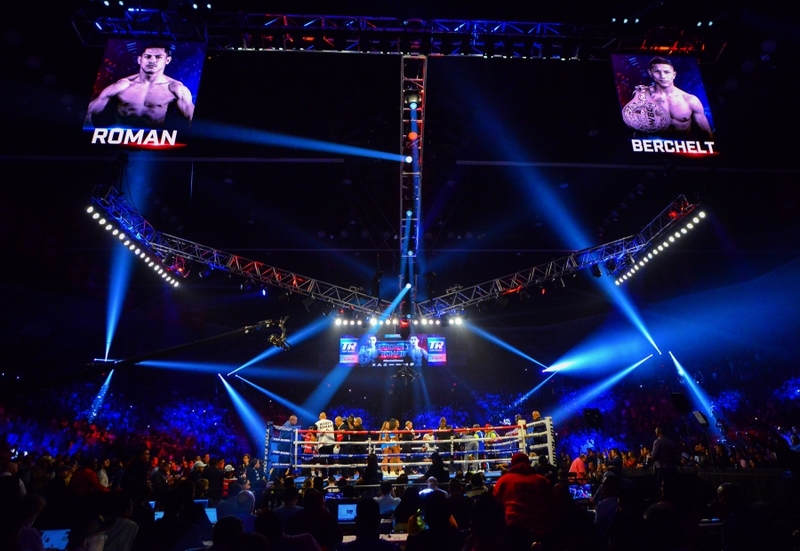 Welterweight: Nicklaus Flaz (6-1, 4 KOs), unanimous decision, 8 rounds, Sagadat Rakhmankul (3-1, 1 KO). 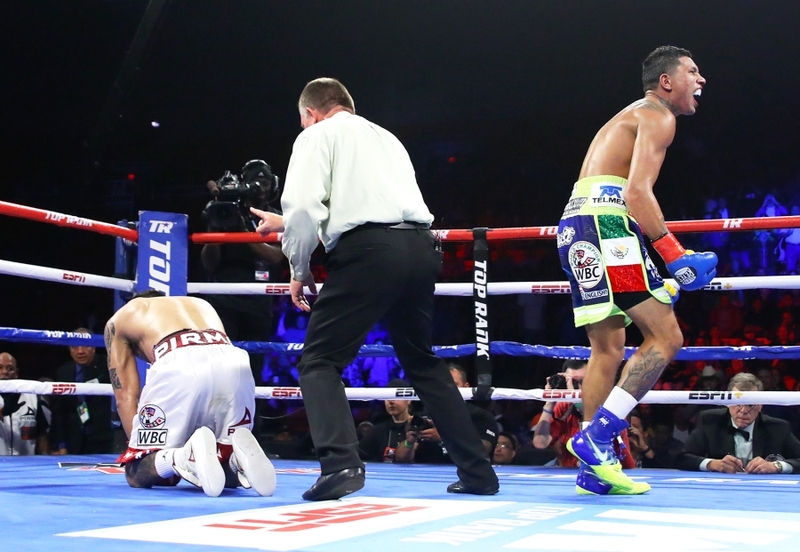 Scores: 78-73, 77-73, 76-75. 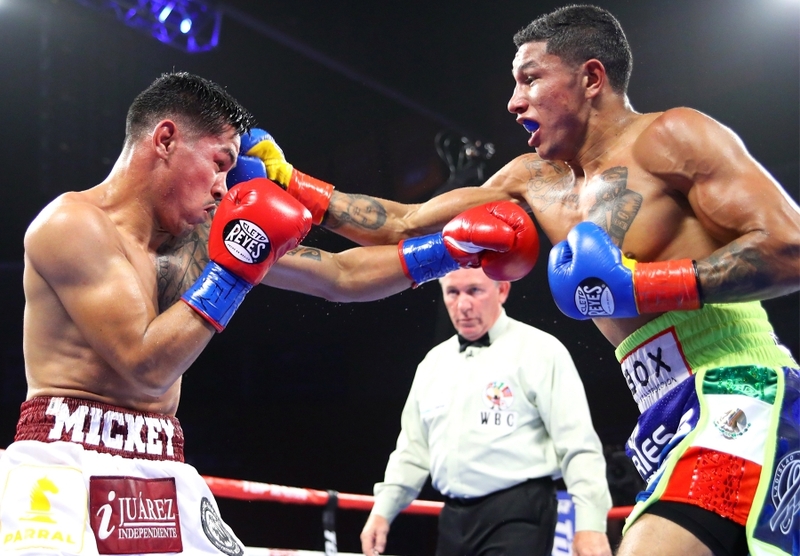 Super Middleweight: Janibek Alimkhanuly (4-0, 1 KO), split decision, 8 rounds, Vaughn Alexander (12-2, 8 KOs). Scores: 79-73 Alimkhanuly, 77-75 Alexander, 78-74 Alimkhanuly. 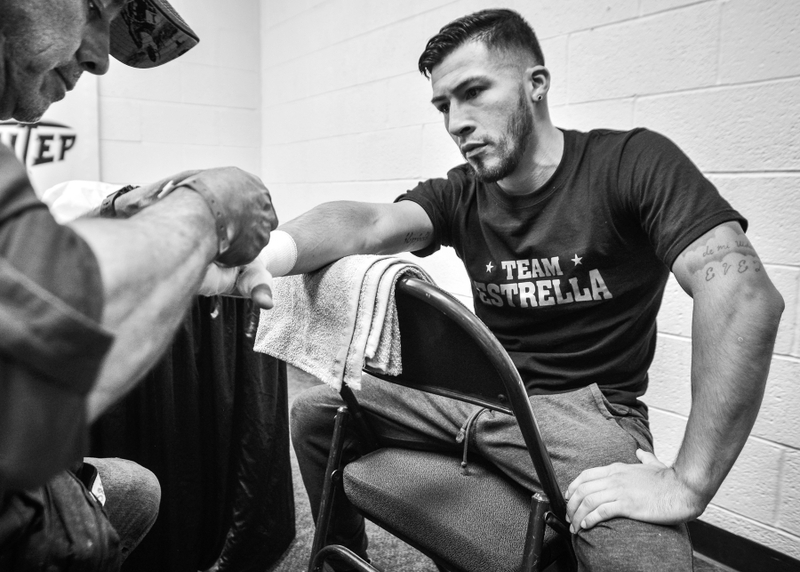 Middleweight: Zach Prieto (4-0, 3 KOs), KO 1, :45, Michael Andrews (1-3, 0 KOs). What’s Next For Terence Crawford? 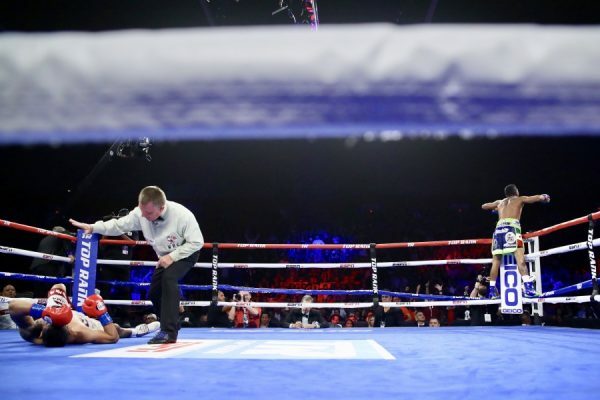 Here are three potential opponents for "Bud" Crawford. 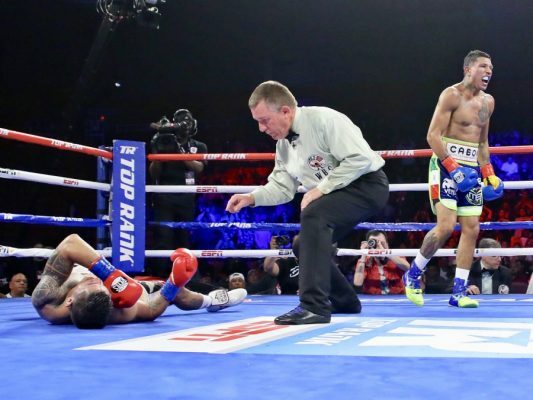 Complete boxing coverage--round by round!